In the refrigerator compressor we have three terminals but it is very hard to identify compressor terminals or find out that which one is start, run and common. 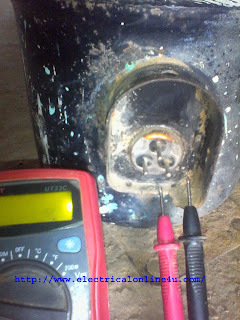 In this article you will learn that how a person can easily find out the compressor terminals. For testing compressor terminals we use an ohm meter or any multimeter which have ohm testing option and i hope after reading this post we will completely understand and identification compressor terminals will no more problem for you. We know that compressor have three terminals and in these terminals one is called (Start terminal) 2nd called (Run terminal) and 3rd called (Common terminal). But you don't know that which one is start, run and common. E.g : If you have refrigerator or Air conditioner compressor and you want to identify the terminals then follow the below method. First of all gave name to the terminals, for example you gave name to terminals A,B,C. 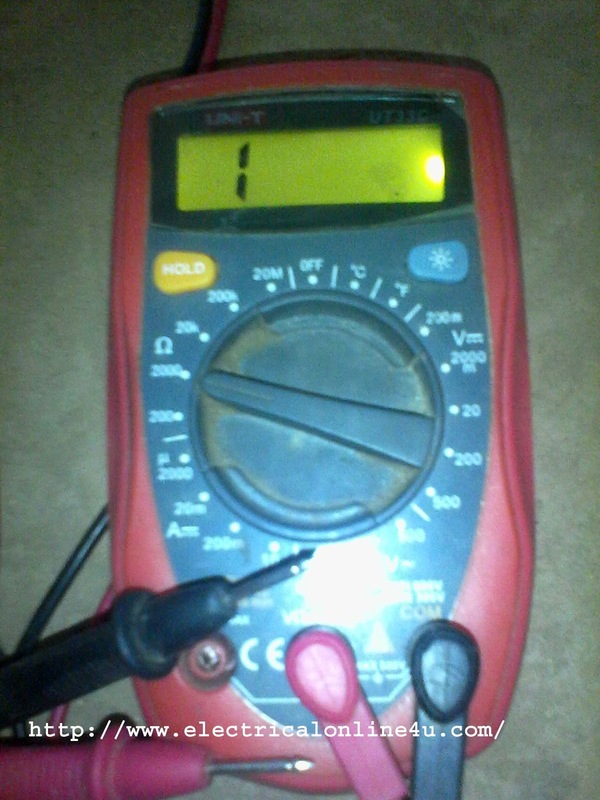 Then set multimeter on Ohm. Put leds of multimeter and test the A and B terminal, then check the A and C terminals and then B and C. You will find high resistance between two terminals. For example you Find 50 resistance between A and B terminals (A-50-B), it's means that these terminals are start and run and the 3rd one is common. So you find out the common terminal and now you want to identify the start and run terminal. So the resistance between common and start terminal will be higher from the resistance between common and run terminal. E.g if your resistance between C and B is 25 ohm and your resistance between C and A is 15 ohm, it's means that your B terminal is start and your A terminal is Run. Use a high quality ohm meter to find out the start, run and common terminals. The resistance between start and run terminals will be high from start and common Or from run and common terminal. The resistance between Start and Common terminal will be high from the Run and Common terminal. I hope now you completely understood and you can easily identify compressor terminals, now if you have any question regarding this article then you can write your massage in below comments section. Thanks for your valuable answer, Really appreciable ! I salvaged a Samsung compressor from an old fridge for another project and is trying to figure out the windings and if the compressor is still good. Measuring the 3 pairs gave the same reading across - at about 13 ohms. My bottle chiller compressor too has 2 equal windings because it gives same resistance between windings.